In early times, Strathairly was part of the Barony of Lundin, and for many years was held by members of the Lundin family. Andrew Lundin of Strathairly is first mentioned in connection with the estate in 1520. 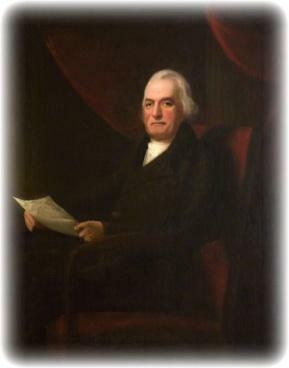 Major James Lundin sold the lands to Mr David Briggs in about 1788 or 1789. Mr David Briggs was succeeded by Lieutenant-Colonel John Falconer Briggs, whose son, Major-General David Briggs took possession upon John Falconer Briggs death in 1850. Major-General David Briggs was succeeded upon his death in 1908 by his nephew, Colonel John Arthur Briggs. There are four memorials in the Church to members of the Briggs family. The estate of Largo remained in the hands of the Wood family until 1611, when it was sold to Peter Black, “ master tailor to His Highness the Prince,” who built the spire of the Parish Church and had his initials carved on the structure. Sir Alexander Gibson of Durie purchased the estate from Black; but Durie’s son disposed of it in 1662 to Sir Alexander Durham, the Lord Lyon, for the sum of 85,000 merks. Sir Alexander was a great favourite with Charles II, and was knighted and made Lord Lyon King-at-Arms by that monarch. He had letters of inter-communing issued against him, along with Alexander Moncrieff, the Minister of Scoonie, in 1675. Moncrieff fled to the Highlands. Durham was imprisioned. He was liberated from the Tolbooth of Edinburgh in 1677 but in 1680 was fined £1850. The Rev. James Durham, a brother of Sir Alexander, was one of the King’s chaplains and while minister of the High Church in Glasgow had the opportunity of preaching before Oliver Cromwell. Mr Durham denounced the invasion of Scotland and on being challenged for his want of tact, stated frankly that he wanted to speak his mind to Cromwell. Sir Alexander died unmarried and was succeeded by Francis, a son of the Rev James Durham. Francis was succeeded by his brother, the grandfather of James Durham, who married Anne, daughter of Thomas Calderwood of Polton, the authoress of the “ Letters and Journals ” published in 1842 in the Coltness Collection and reprinted in 1884. James Durham and his wife had three sons – James, Thomas and Philip. 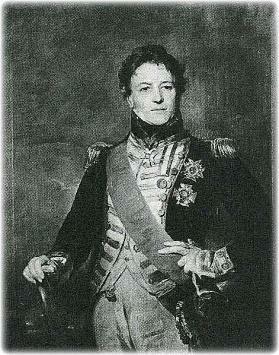 James, who was a distinguished military man, succeeded his father in 1808. 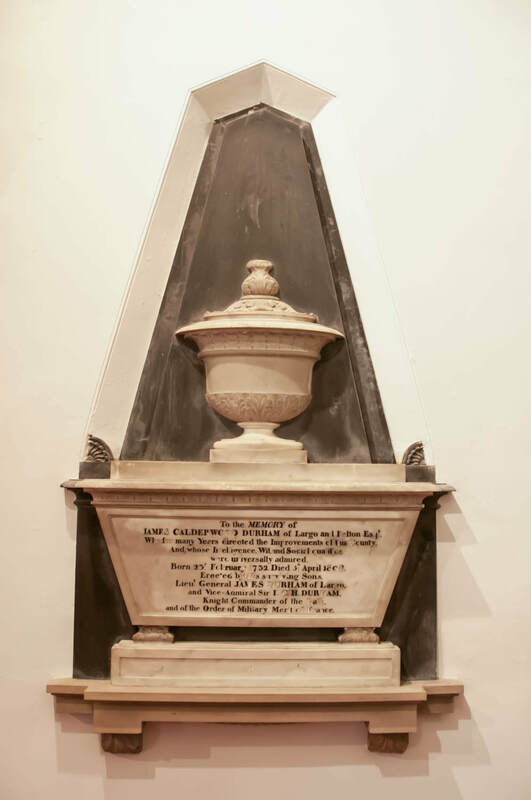 On the death of James who attained the rank of General, the estate fell into the possession of his nephew, Thomas Calderwood Durham, married to Anna Cunningham Graham of Gartmore, died in 1842. Philip, the third son of James Durham, became Admiral Sir Philip Durham. In 1799 he married Lady Charlotte Bruce, third daughter of Charles fifth Earl of Elgin. His second wife was Ann, daughter and heiress of Baronet Sir John Henderson of Fordell. Sir Philip died in 1845 aged 82 years. 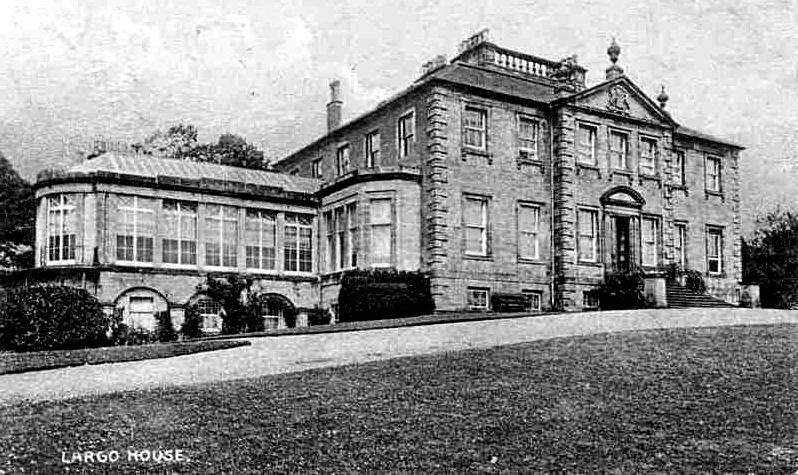 The estate was sold by the Durhams in 1868 to Mr William Johnston of Lathrisk. He was succeeded by Mr George Johnston who died in 1900 and was succeeded by Mr Makgill Crichton ( whose descendents still own the estate today 2017). There are seven memorials in church to members of the Durham family. Sacred to the memory of Thomas Calderwood Durham Esq of Polton and Largo, who departed this life upon the 11th day of April 1842 in the 46th year of his age. This tribute of affection, sorrow, and respect is erected by Anna, his beloved wife. Son of Allan Gilmour, owner of a large shipping company based in Renfrew, and Agnes Strang who acquired the estate of Lundin in 1872 and Montrave in 1873 and later purchased estates at Greenside, Pratis and Kilmux (all in Fife). In 1873 John married his first cousin from Canada, Henrietta Gilmour, second daughter of Mr David Gilmour. Henrietta (1850 – 1926) became a pioneer of photography with many of her pictures now held by St Andrews University. He was commissioned in to The Fife Light Horse in 1874 as a Lieutenant taking command of the Regiment as Lt-Colonel from 1895-1901 and latterly becoming Colonel of the Fife and Forfar Imperial Yeomanry. He unsuccessfully contested East Fife Constituency in the 1892 and 1895 General Elections for the Conservative and Unionist Party. He was created a Baronet in June 1897, travelling to London with Henrietta for Queen Victoria to bestow the honour as part of her Diamond Jubilee celebrations. They had seven children, three sons John ( born 1876 ), Harry ( born 1878 ), Douglas ( born 1889 ) and two daughters Maud ( born 1882 ) and Henrietta ( born 1884 ). Two children, Allan and Ronald died in infancy. Amongst other things he was chairman of the Scottish Conservative and Unionist Party, Master of The Fife Foxhounds and with Henrietta formed the Lundin and Montrave Curling Club, its curling pond being on their own estate at Montrave. This was one of the first British sporting establishments to have both male and female members. In 1894 John carried through a major restoration of the Parish Church ( Largo Kirk). The south transept was added to, with the addition of a vestry and construction of a staircase to the Lundin gallery. A new pulpit and three stained glass windows were installed. 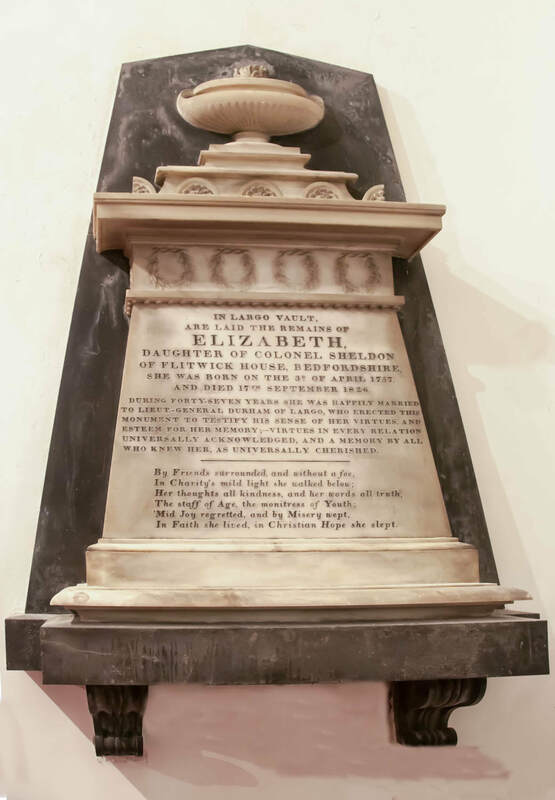 One erected by Mr J. H. Baxter of Gilston in memory of his wife Amy Constance Baxter (1853-1881), another by John Gilmour dedicated to the service of praise and the third by the Wood family in memory of Sir Andrew Wood of Largo. 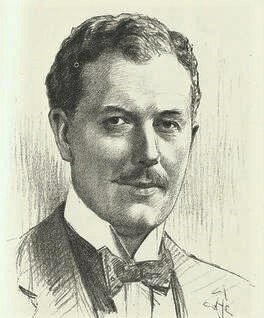 On his death in 1920 he was succeeded by his eldest son John “ Jack “. Born at Montrave on 27 May 1876 John ( Jack ) was educated at Trinity College, Glenalmond, the University of Edinburgh and Trinity Hall, Cambridge. He had a distinguished military career, being commissioned on 7th February 1900 as a lieutenant in the Imperial Yeomanry serving in South Africa during the second Boer War being awarded the Queen’s medal with 4 clasps and was twice mentioned in despatches. His letters from the Boer War were published in 1996 under the title “Clearly My Duty” by his son, Sir John, 3rtd Baronet. He again began active service in 1914 and served in Gallipoli. He survived this but was wounded in Palestine in 1917. Subsequently he was awarded the DSO with bar. Jack married Mary Louise Lambert in 1902. After her death in 1919 he married secondly his wife’s sister, Violet Agnes, in 1920. Serving as Member of Parliament for East Renfrewshire (1910 – 1918), Glasgow Pollok (1919 – 1940), he rose to high office : Secretary for Scotland (1924 – 1926); Secretary of State for Scotland (1926 – 1929); Minister of Agriculture (1931 – 1932); Home Secretary (1932 – 1935); Minister of Shipping (1939 – 1940). As Home Secretary he officially opened Scotland Yard’s first Forensic Laboratory in 1936. In addition he held many other appointments including Master of Fife Fox Hounds, Member of Fife County Council, Rector of Edinburgh University, Brigadier Royal Company of Archers, Vice-Lieutenant for County of Fife and Lord High Commissioner, General Assembly Church of Scotland, 1938 – 1939. He died from a major heart attack in 1940 at the age of 64 and was succeeded by his son, John. John was born in Glasgow, his mother dying when he was just seven. Educated at Eton College where he was captain of boats. He read law at Trinity Hall, Cambridge and rowed for Cambridge University in the 1933 Boat Race missing out the following year due to appendicitis. He also studied at Dundee School of Economics. On completion of his studies he helped run the family estate at Montrave from 1934. In 1939 John joined the 2nd Fife and Forfar Yeomanry which was part of the Royal Armoured Corps. Serving initially in Fife and then Northern Ireland he was sent to Normandy shortly after D-Day. As a Major he led a squadron of tanks in Operation Goodwood an attack on Bourguebus Ridge. Three tanks were destroyed under him so he ended up commanding the regiment from a bulldozer. He was awarded the DSO for his actions in Normandy and the subsequent advance to Antwerp. He was returned home after being wounded near Belsen and went on to command the regiment when it was reconstituted as a Territorial Army unit in 1947. He retired from the Army in 1950 but remained involved with the Territorial Army becoming Honorary Colonel of the Highland Yeomanry in 1971. Later he was appointed as one of the four Captains of the Royal Company of Archers. He unsuccessfully contested Clackmannan and Eastern Stirlingshire constituency in 1945 losing to the incumbent, Arthur Woodburn. 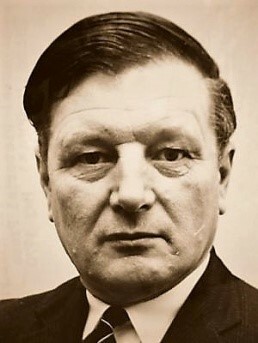 He served as a councillor on Fife County Council from 1955 to 1961 resigning due to his winning the Parliamentary by-election for East Fife holding the seat until standing down at the 1979 election. He was chairman of the Scottish Unionist Party from 1965 to 1967 having been vice-chairman from 1963. 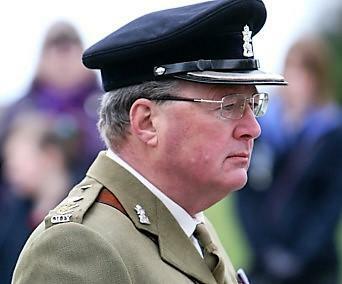 He was joint Master of the Fife Hunt from 1953 to 1972; Deputy Lord Lieutenant of Fife from 1953 and Lord Lieutenant from 1980 to 1987; Lord High Commissioner to the General Assembly of the Church of Scotland in 1982 to 1983. In 1941 John married Ursula Wills having two sons together, John and Andrew. Andrew and his wife Mary are active members of Largo Kirk at this present time. He died in Cupar 2007 being succeeded by his eldest son, John. Born Anne Margaret Gilmour on 29th October 1909, the only daughter of John Gilmour, 2nd Baronet and Mary Louise Lambert. She joined the British Red Cross in the late 1920s becoming a member of staff in 1938. In 1943 she became Deputy Commissioner of the British Red Cross and St John War Organisation, Middle East Commission. She was Commissioner from January – June 1945 becoming the only woman to be appointed a Commissioner during the Second World War. She was Deputy Chairman of the BRCS Executive Committee from 1953 – 64 and Vice Chairman from 1964 – 76. Lay Member of the Council for Professions Supplementary to Medicine 1973 - 79. Member of the Board of Governors, Eastman Dental Hospital 1973 – 79. Member Camden and Islington Area Health Authority 1974 – 79. Vice President, Open Section, Royal Society of Medicine1975, President 1980 – 82. Member of the Independent Television Authority. Member of the Government Anglo-Egyptian Resettlement Board. Special Trustee and Chairman of the Royal Free Hospital. Vice president of the Royal College of Nursing. In 1932 she married Lt Cdr John Reginald Bryans RN, FRGS son of the Rev Reginald du Faure Bryans. They had one son Lt Cdr John Patrick Gilmour Bryans RN, FRGS BORN 1933. She died in Peacehaven Care Home, Lundin Links on 21st April 2004 aged 94. Born on 5th July 1944 John was educated at Eton College, Berkshire and the North of Scotland College of Agriculture. On May 6th 1967 he married Valerie Jardine Russell, daughter of George Walker Russell of Cupar. They had four children, Nicholas, Patrick, Corinna and Juliet. He became the fourth generation of his family to serve in the Fife and Forfar Yeomanry / Scottish Horse being commissioned on May 26th 1966 as a Second Lieutenant. He rose to captain before the regiment was placed into suspended animation. In 1992 the regiment was reactivated and in 1999 Sir John gained the rank of Honorary Colonel. He held the office of Deputy Lord Lieutenant of Fife from 1988. A member of the Jockey Club, the Royal Company of Archers, the Caledonian Hunt Club he was also a director of the Moredun Research Institute and was involved with the Equine Grass Sickness Fund. 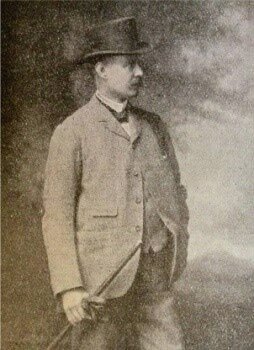 He built and ran the Point to Point race course held annually ar Balcormo and was Master of Fife Foxhounds for 30 years. He died on 10th February 2013 and was succeeded as 5th Baronet by his son John Nicholas. Married Airin Thamrin 1996. Heir apparent is John Edward Arif Gilmour, born 2001.